If you and your pals are visiting Myrtle Beach on your 1st or 21st golf package there is always something new to discover at the beach. Myrtle Beach Golf Authority has so many wonderful golf packages to choose from or you can design your own. With approximately 100 Championship Myrtle Beach golf courses to choose from and the outstanding Myrtle Beach accommodations offered by Myrtle Beach Golf Authority, your trip will be one to remember. BOARWALK BILLY’S – Located on the Intracoastal Waterway, Boardwalk Billy’s has an outstanding view of the water and marina. A favorite among locals and tourists alike, it is a great place to unwind and settle up your bets after a day on the course. There is an inside bar as well as the deck. The Happy Hour offers $1 off beer, wine and liquor drinks as well as discounts on food items that include sushi. NACHO HIPPO – Nacho Hippo has long been a favorite in Myrtle Beach and this year there is a new location across from Barefoot Landing in North Myrtle Beach. The new location features outdoor seating and a very relaxed atmosphere. The menu is varied and offers many outstanding selections. Happy Hour offers $1 off beers and they have all-day $3 house margaritas and $2 Bud Light bottles. This is a very nice place to enjoy and rehash your round while on your Myrtle Beach golf package. OD ARCADE AND LOUNGE – OD is located directly in the heart of North Myrtle Beach on Ocean Blvd. and it has been a favorite for years. When visiting OD you will certainly encounter other golfers that are unwinding while on their Myrtle Beach golf package. There is also a large local patronage which is definitely a sign that it is a great place to be. The Happy Hour offers some discounts on beer and liquor and they have great food specials. BENNY RAPPA’S – One of our favorites. Benny’s is conveniently located on Hwy. 17 in North Myrtle Beach. For 20 years Benny’s has offered a unique dining experience with its chalkboard menu that changes daily. The traditional Italian fare ranges from pasta, seafood, chicken, veal and many other delicious choices. Benny’s has a huge wine selection and delicious cocktails. It is recommended that you make reservations because it is a very popular restaurant for locals and golfers that visit every year on their Myrtle Beach golf package. GREG NORMAN’S AUSTRALIAN GRILLE – Every golfer knows that Hall of Fame golfer Greg Norman is known for his dedication to excellence. Greg Norman’s Grill is no exception. Conveniently located in Barefoot Landing in North Myrtle Beach it offers an upscale dining experience that has been enjoyed for thousands over the years. It has a beautiful bar that offers everyone’s favorite libations. The menu is extensive and you are sure to find something to your liking. Many golfers that are on Myrtle Beach golf packages make this a must do every year. ROCKEFELLER’S RAW BAR – of course many visiting golfers seek seafood while they are visiting on their Myrtle Beach Golf Authority golf package. Rockefeller’s is conveniently located to the Myrtle Beach accommodations that you will have while on your golf package. Golfers can unwind with a drink in one of their comfortable captain’s chairs at the bar and then enjoy an outstanding seafood dinner. There is a wide variety to choose from; Crawfish, Scallops, Mussels, Oysters, Crab Legs, Shrimp, Tuna, Lobster, Steak and much more! Of course a visit to North Myrtle Beach would not be complete without taking in the great night clubs on Main Street in North Myrtle Beach. Home of the “Shag”, there is always a party going on. Be sure to check out Duck’s, Fat Harold’s Beach Club, O.D. Pavilion, International Café, Pirates Cove and OD Arcade and Lounge for all of the fun! 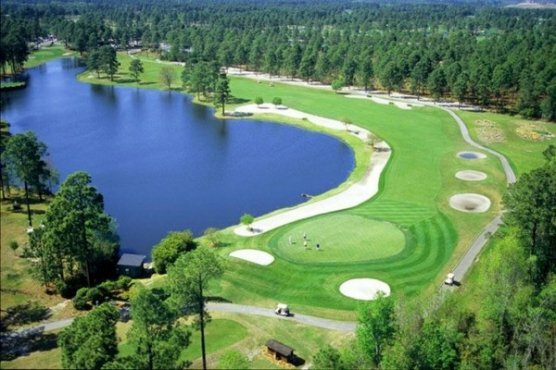 The bottom line is that you are sure to enjoy your Myrtle Beach Golf Authority golf package. You will play some of the finest golf courses imaginable and build many lasting memories.